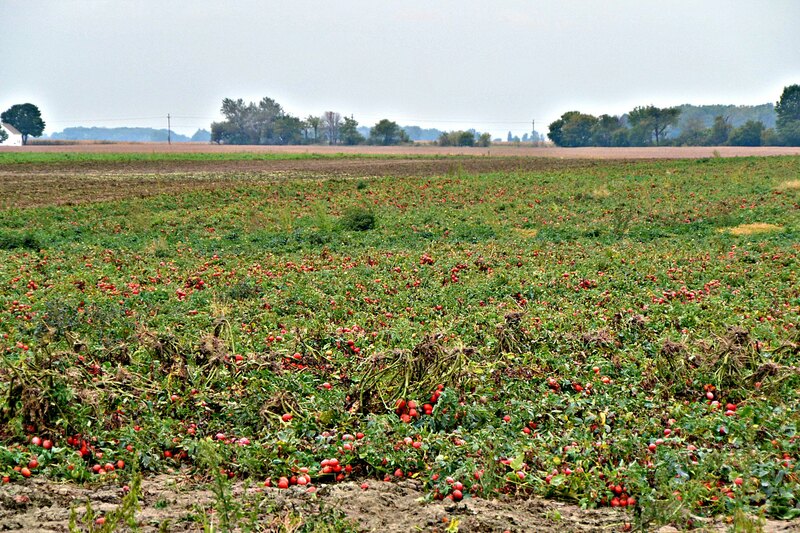 Last week I had the chance to go to Indiana and see how a tomato goes from farm to table, thanks to the family-owned company Red Gold. Red Gold is a 4th generation family-owned business since 1942 when it began producing tomato products for the soldiers overseas. 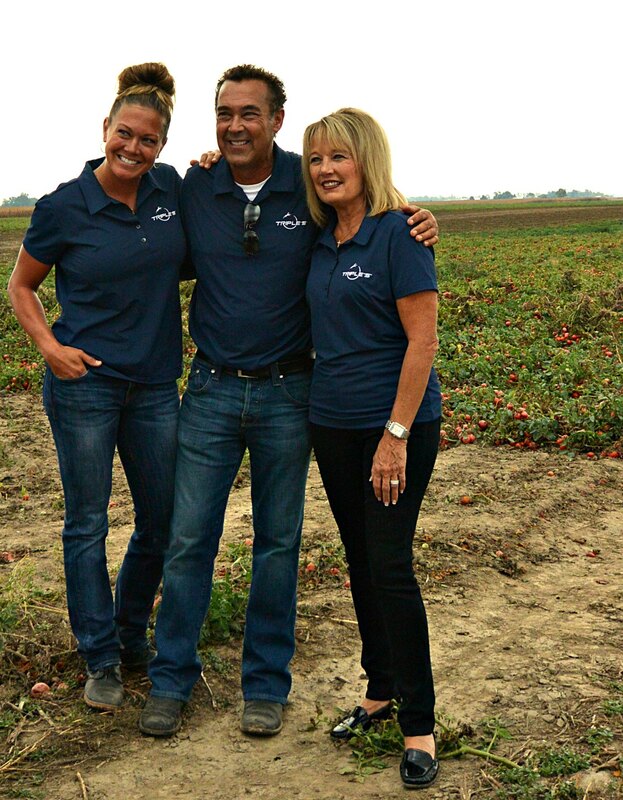 Not only is the business itself run by a family, but their tomatoes are all grown on family farms too. Over 50 family farms across three states: Indiana, Michigan and Ohio. 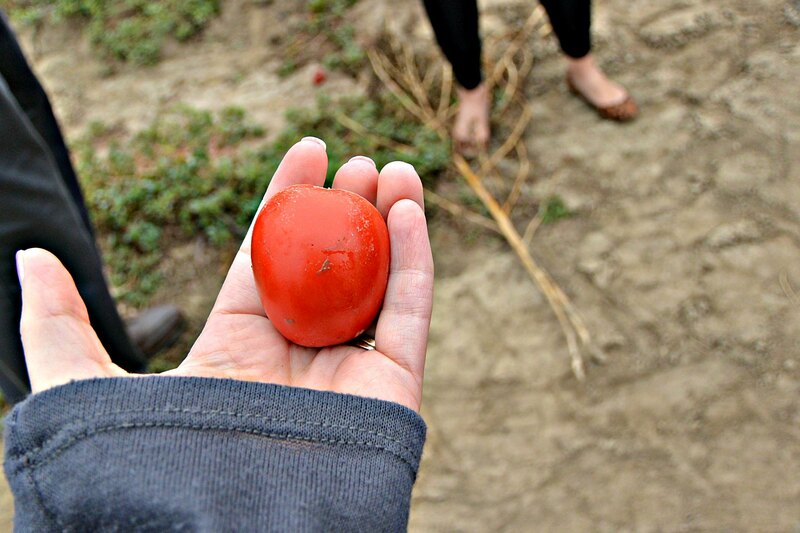 In order to get the full experience of how one of Red Gold’s tomatoes gets from the field to a can on your grocer’s shelf we first visited Red Gold grower Scott Smith and the Triple S family farm to see how the tomatoes get harvested. This is a fun story about how Red Gold really is all about family. The Smiths and Red Gold owners, The Reicharts, aren’t just business associates. They literally are family. The Smiths grew up tomato farmers, while the Reicharts grew up tomato canners. 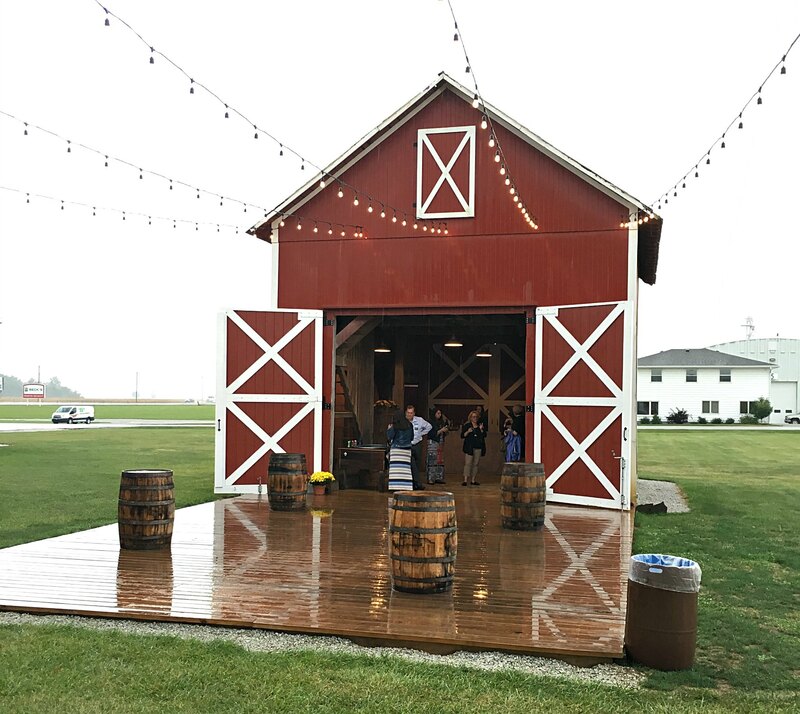 It was a perfect fit…so much that Scott’s sister Selita ended up marrying Brian Reichart – The President and CEO of Red Gold! It was so neat to watch the harvester machine go down the fields and separate the tomatoes from the vines and load them up onto the truck. After meeting the Smith family and seeing the tomatoes harvested we were taken to the Kelley Agricultural Historical Museum in Sharpsville, IN. It’s a 125-acre property that has been restored to its late 1920’s splendor. The land holds the old Kelley household, a one room schoolhouse, a log cabin from Carmel, the red round barn (a trademark of Indiana agriculture and where we ate our dinner in), and two other modern metal barns that hold antique farm equipment the family has collected over the years. It was such a charming and fun evening where we learned more about Red Gold’s history and their future goals. One of the things we learned is their commitment to sustainable production and farming practices. They support the eco system from right on the family farms to their production facilities and are proud of what they do to keep the earth a better place. At Red Gold they don’t just recycle cans. 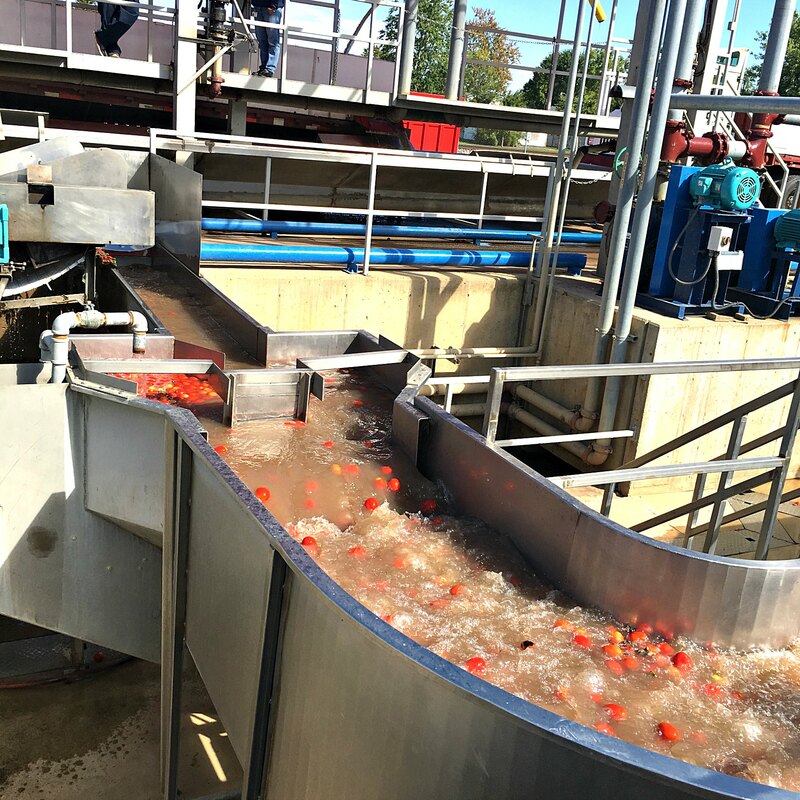 They recycle everything – right down to the parts of the tomatoes that they don’t use. The discarded tomato peels and seeds are turned into animal feed, and some are even used as fertilizer to grow a whole new set of crops. In fact, they’re so committed to the concept of reusing that they plan to achieve a ‘zero landfill status’ by 2017! Chef Craig Baker of Local Eatery and Pub in Westfield, IN made our food for the evening and it was delicious! A perfect match for Red Gold since Local Eatery and Pub is a farm to table driven restaurant focusing on families. 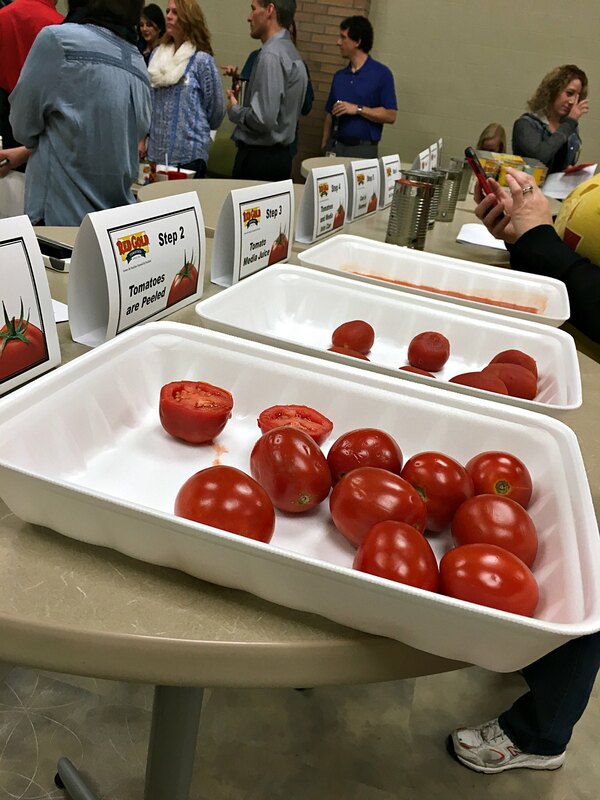 The next day started off at the Red Gold Corporate offices where we learned about the canning process and had the chance to test Red Gold tomato products against other major brands and see how they compare. The corporate offices themselves show how Red Gold is invested and cares for their communities. The building was an elementary school that they renovated, and actually it’s the school that Brian Reichart the CEO attended 🙂 . 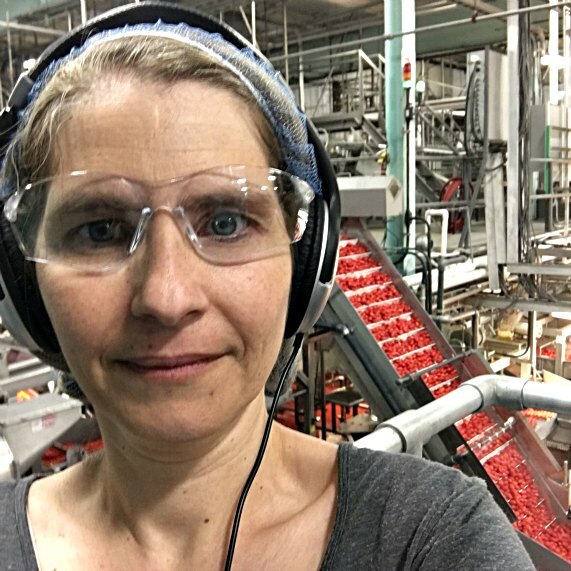 We were then taken on a tour of the Red Gold Orestes, IN canning facility. And got these cool fashion accessories for our photo opps 😉 This is one of three production plants that Red Gold has to can and package their products. 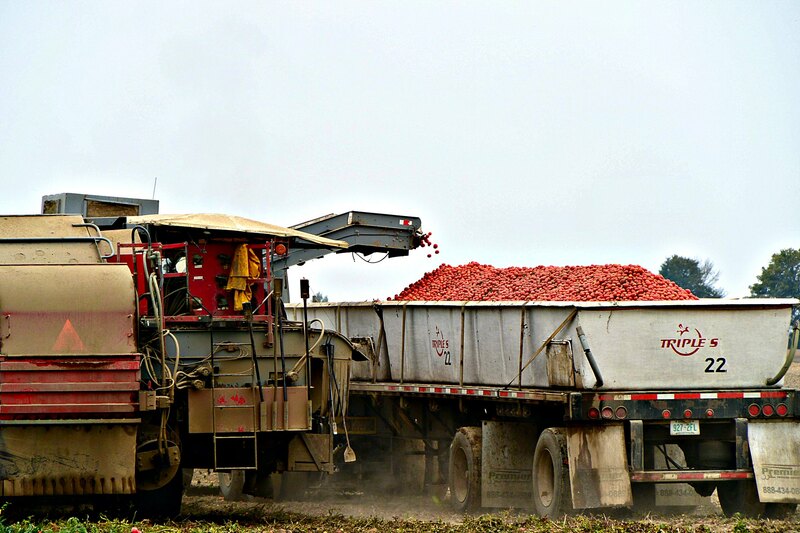 Once the tomatoes are received at the plant in the trucks, it’s an incredibly fast process of getting them canned. The tomatoes we saw at the beginning of our tour in the water chutes were canned by the time we finished our 45 minute tour! Tomato canning peaks during a 10 week period of Mid-August to Mid-October, so we got to see the facility at its full capacity and it was quite the sight! It was just like being in an episode of “How It’s Made.” This video shows and tells you much better than I could of exactly what we saw over the 2 days we spent with Red Gold. 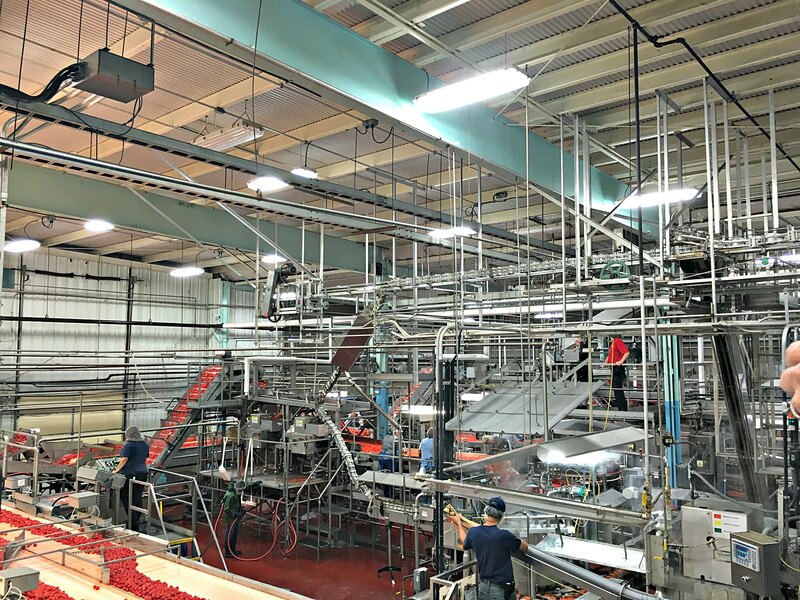 We also got to visit the Elwood plant, which is where the sauces, juices, ketchup and salsas are made. 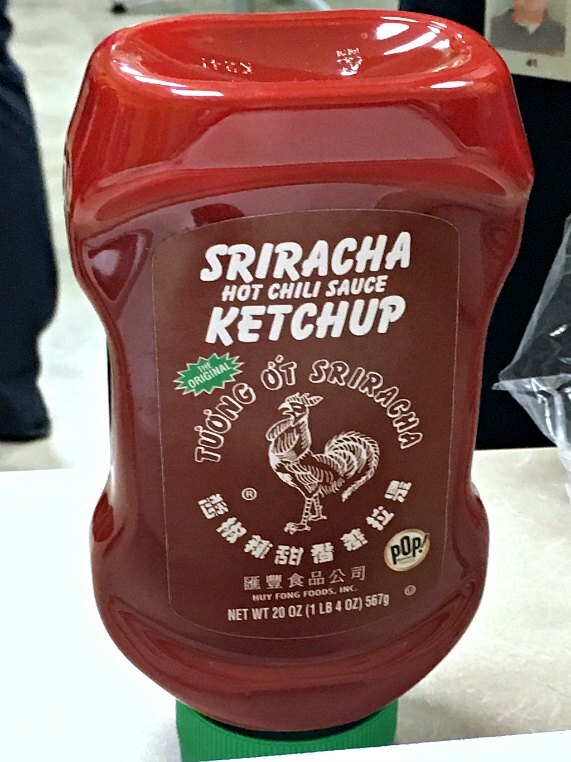 (Psst… if you haven’t tried the Sriracha Ketchup that Red Gold makes and you like hot, spicy foods… go out and get some!). So you might not live in the Midwest and maybe don’t recognize the Red Gold label, but perhaps you know Sacramento or Tuttorosso? Those are Red Gold brands too. 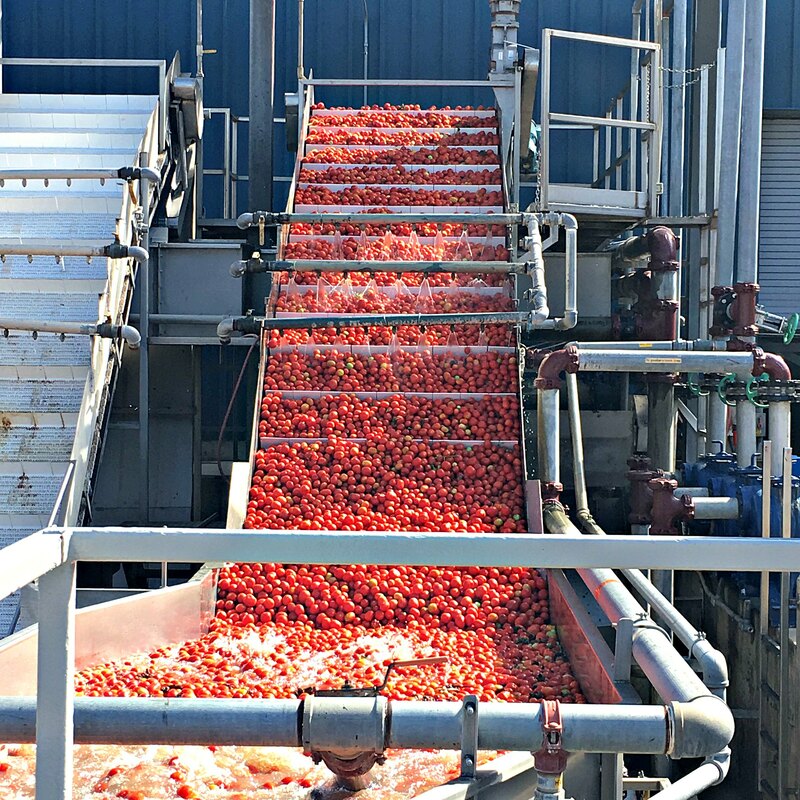 What may surprise you though is that no matter where you live in the United States if you buy the store brand of canned tomatoes there’s a good chance that you are indeed eating tomatoes canned at the Red Gold plant! 92% of Red Gold’s business is actually private label! Red Gold wanted us to experience their community, the community they live and work in, so for dinner they took us to Nick’s Kitchen. 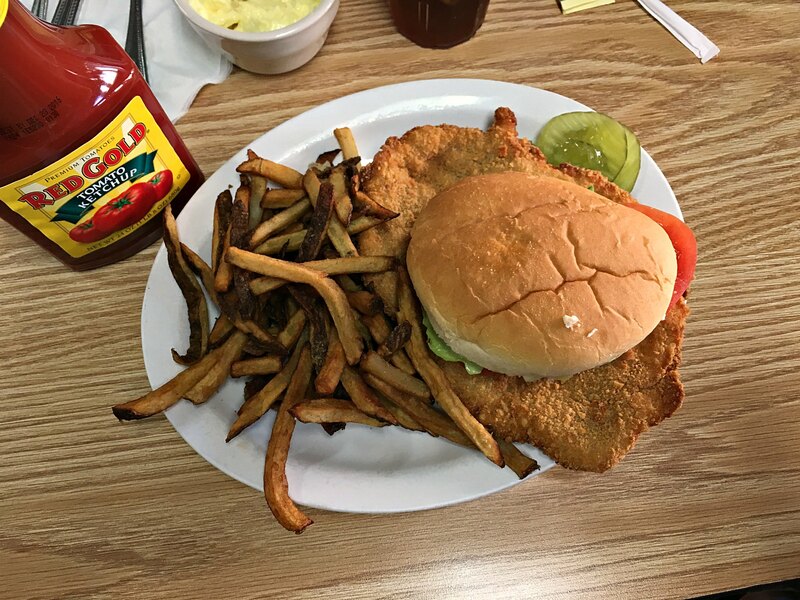 Located in downtown Huntington, Indiana they are the home of the Breaded Pork Tenderloin. 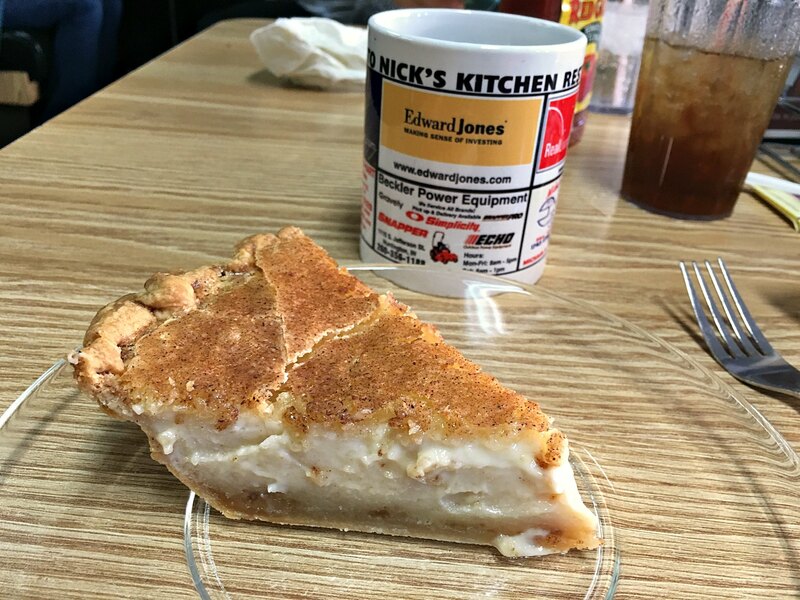 Since 1908, it is the Hoosier favorite that started right at Nick’s Kitchen! Oh my goodness. Just look at this! And naturally when in Indiana one must have a piece of Sugar Cream Pie. Sugar cream pie is a pie shell spread with layers of creamed butter and maple or brown sugar with a sprinkling of flour, then filled with vanilla-flavored cream and baked. 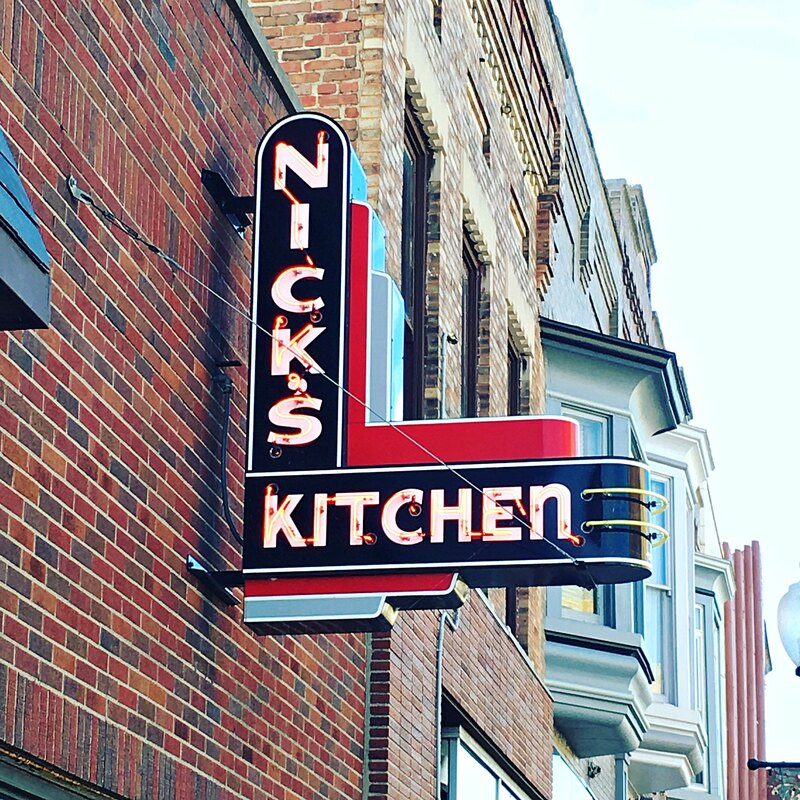 The recipe appears to have originated in Indiana with the Shaker and/or Amish communities in the 1800s, so that’s some history at Nick’s Kitchen right there! 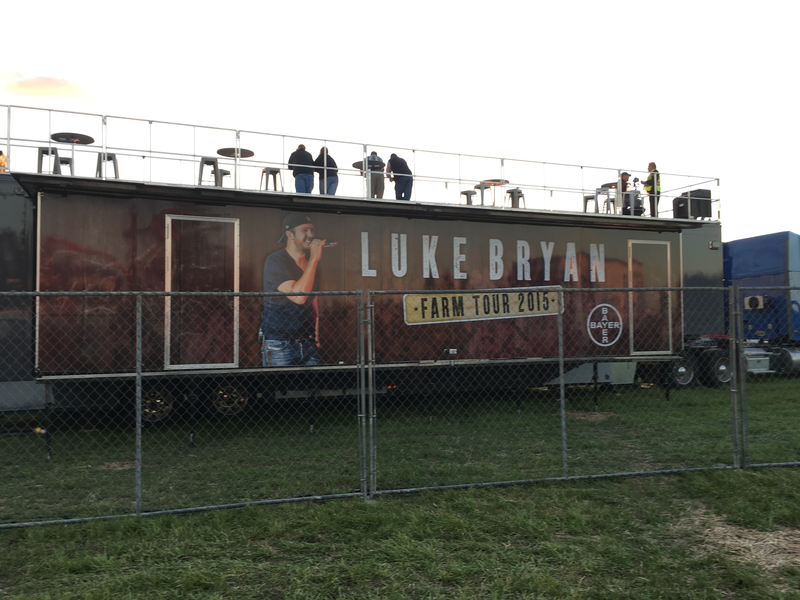 To round out our experience Red Gold treated us to the opening concert of the Luke Bryan Farm Tour 2015! 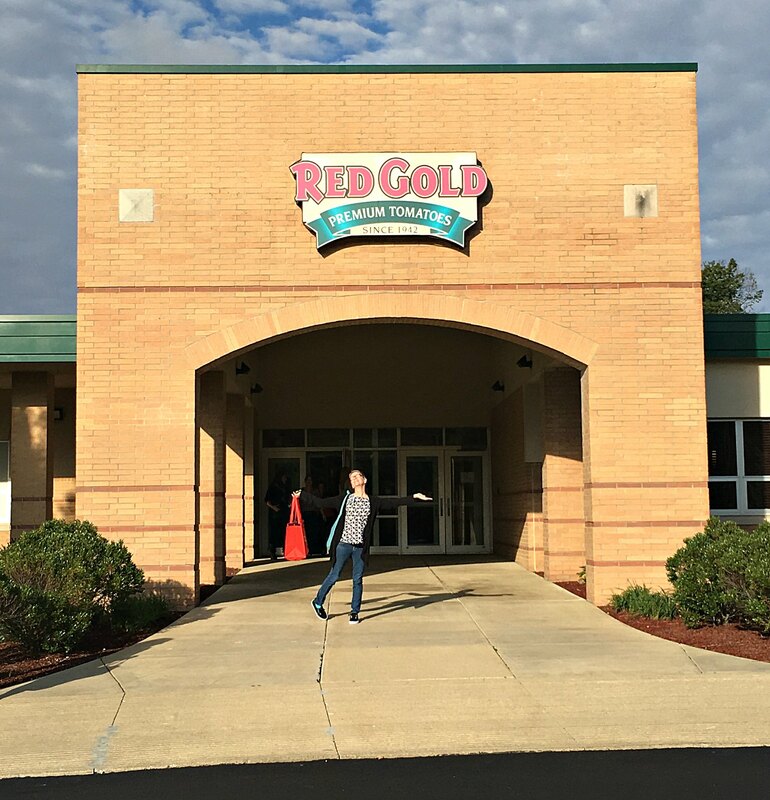 It’s no surprise that Red Gold is a sponsor of the tour seeing that it lines up with their core values as a company. The Luke Bryan Farm Tour concerts take place on family farms and a portion of ticket proceeds help provide local college scholarships to the newest generation of farming families. 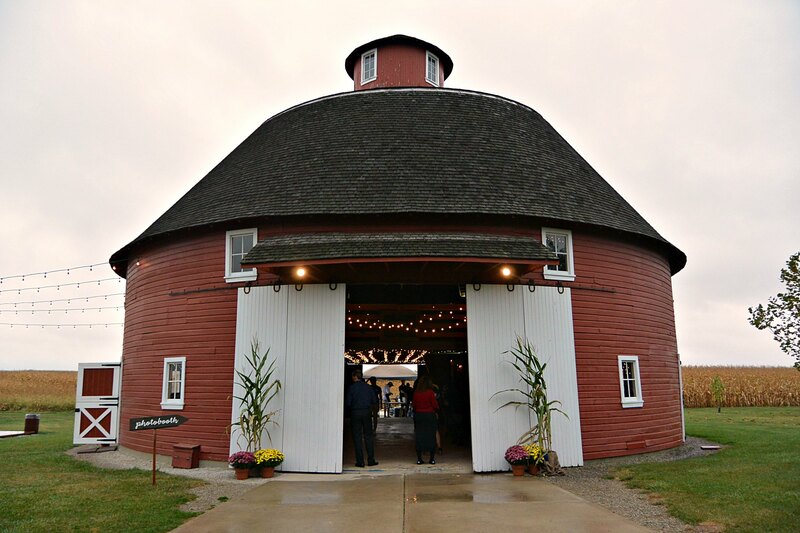 It was a fun time as we “turned a cornfield into a party!” with the other bloggers on the trip. It was so educational and enjoyable to be able to help Red Gold launch their campaign to celebrate #FamilyFarms. The obvious quality and commitment to families and their community are a business model I can stand behind. 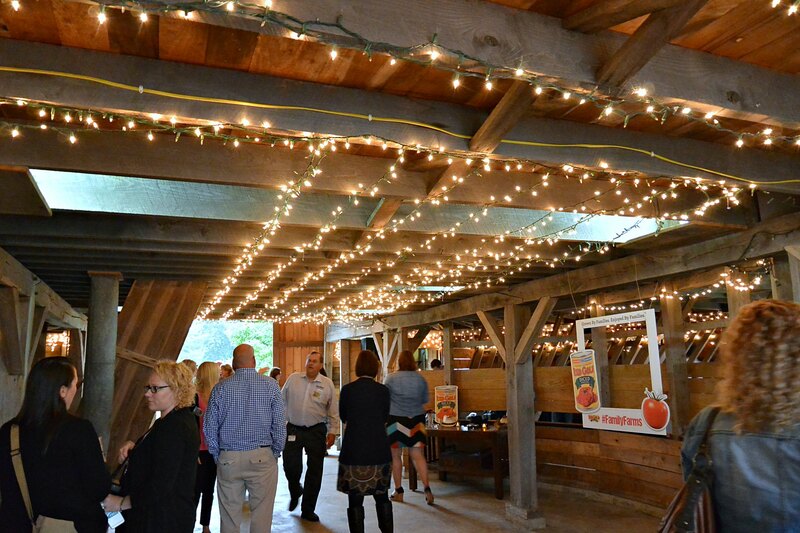 The Red Gold Tomatoes mission is “To produce the freshest, best tasting tomato products in the world,” and after my experience with their company, I have to say they are right on track to hit that goal. Visit their website RedGoldTomatoes.com to learn more about this family company, tips & ideas and for some great recipes too. 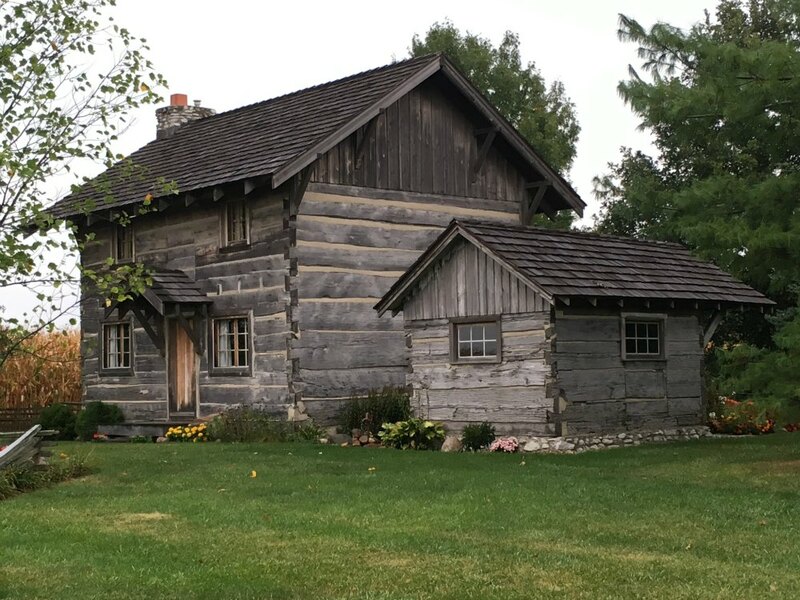 I was invited to participate in a Farm Tour experience with Red Gold, for which they provided full travel expenses, meals and accommodations and other premiums, however my opinions are completely my own and I have not been compensated to publish positive or negative reviews of the event or products associated with my experience. I am glad we have good family farms to give us tomatoes. My crop didn’t do well this year. Great pictures and what a good experience. Tomatoes are such a good food!